Apotheke-versand 24 is online pharmaceuticals company which specifically offers generic and brand sexual enhancement pills. Their products include pharmaceutical medications for treating erectile dysfunction in patients, in addition to the wide range of sexual enhancing medications in the market. Apotheke-versand24.com guarantees safe medications from certified pharmaceutical companies which comply to international drug standards. Apotheke-versand 24 ensures that orders can be placed easily by patients and the discreet delivery of the medications to the patients’ doorsteps. They offer an additional 5% free pills for first-time customers and 10% extra pills for repeat customers on certain medications. Apotheke-versand24.com offers a variety of services which customers can use such as free online medical consultation with doctors who are claimed to be approved by the United States. Their convenient ordering process inlcudes a medical questionnaire to be completed prior to completing the order. The order is reviewed by their doctors before the prescription is prepared and consequently, the pills are shipped. 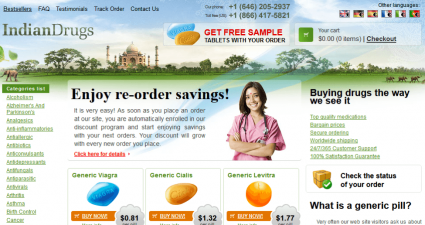 However, it is extremely difficult to determine how satisfied customers are with the services offered by apotheke-versand24.com. There are no customer reviews available on the website and no comments section for testimonials. They encourage their customers to email their opinions, comments, or tips. They also provide a 24/7 customer service line for any necessary support. The website also integrates a 24/7 customer service chat box for assistance, which replies within a few minutes. But the lack of a proper public platform for customer feedback on the website is a big disadvantage for potential customers who may not trust the service of Apotheke-versand 24 as a genuine online pharmacy. ScamAdviser gives apotheke-versand24.com a fairly safe rating of 68% on its trust rating. But it warns of a small chance of risk associated with the use of the site’s services. This is because although the website is based on the United States, the ownership is likely to be Russian. The Russian Federation is one of the many risk-associated regions due to a high rate of fraudulent or replica products. Since the website has been refreshed as recent as a few days, it can be said this website is active. 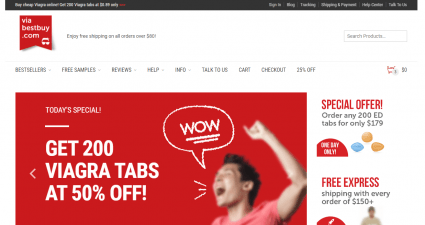 The domain of the online business, apotheke-versand24.com, is almost 3 years old and is valued at a little over 400 US dollars, according to scamadviser. Apotheke-versand24.com is given an “Invalid” status by the Canadian International Pharmacy Association (CIPA). 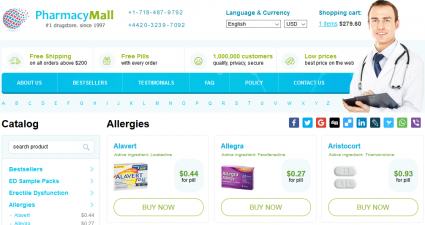 CIPA is reputed database but since apotheke-versand24.com is not a member, it loses significant value for the safety approval and certification as an online pharmaceutical company. CIPA certification will strengthen the trustworthiness of Apotheke-versand 24 as an online business to attract more customers as well as convert a higher percentage of new visitors to regular customers. Apotheke-versand24.com has been given the approval status of “ROGUE” by LegitScript. This means that Apotheke-versand 24 fails to meet the online pharmacy verfication standards. As an unapproved online pharmacy, it does not follow the fair business practices or the standards of safety required of an online pharmaceutical company. By definition, it is a fraudulent online business. Trustpilot shows apotheke-versand24.com as an unclaimed business resulting in no valid ratings for its business. Without any review submissions in one of the most renowned trust rating sites, apotheke-versand24.com fails to register any stars. A domain name which has been active for more than 2 years as an online medicines company should be registered on Trustpilot for registering customer experiences. Luckily for apotheke-versand24.com, MyWOT has some data on its business. However, even on this there are no reviews found. It is given a reputation rating fo 2.2 stars by MyWOT, which means a 44% rating for trustworthiness. But it does not contain any data to rate the child safety of apotheke-versand24.com. Apotheke-versand24.com displays a free 5% pill offer for new orders throughout the website. When checking out, it shows that bonus pills are available for certain medications for larger orders. Also, repeat customers on specific medications, such as Viagra, are given 10% bonus pills with their orders. Apotheke-versand 24 is an online medicine provider which promises lots of good things such as helping customers with medical decisions through free consultations. They consider customers to be partners in medical decisions through professional advice by approved doctors. But all this is unreliable without any presence of customer reviews on its products and services. The very moderate rating on a just a couple of review websites means that it is not a reliable established online business. Without registering with some of these review websites, or a certified member, the business is never likely to truly succeed. 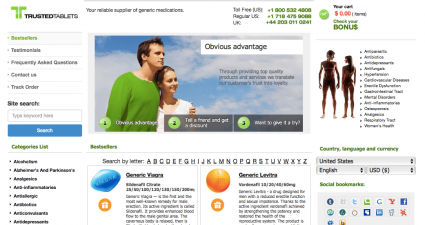 We give the apotheke-versand24.com website 2 stars out of 5 for its online pharmaceutical business.